It’s funny how the universe works sometimes. Last night on the much vaunted Paranoia Podcast I was talking with Phil Leirness about the nature of truth, facts, and the fact that we both felt that while we see and are bombarded by political news the world keeps on ticking. We talked about when “big” news happens look behind you to see what is really going on. Every day I do my best to wade through the deluge of news which is predominately saturated by Brexit, shootings, and political investigations. I see breaking news banners flashing on screen to just let me know that the investigations are continuing or maybe they stopped. The only issue is that I’ve seen this breaking news a dozen times already. And it’s not just CNN, MSNBC or Fox News, it’s also the BBC and every other news operation in the western hemisphere – they are all guilty of it. 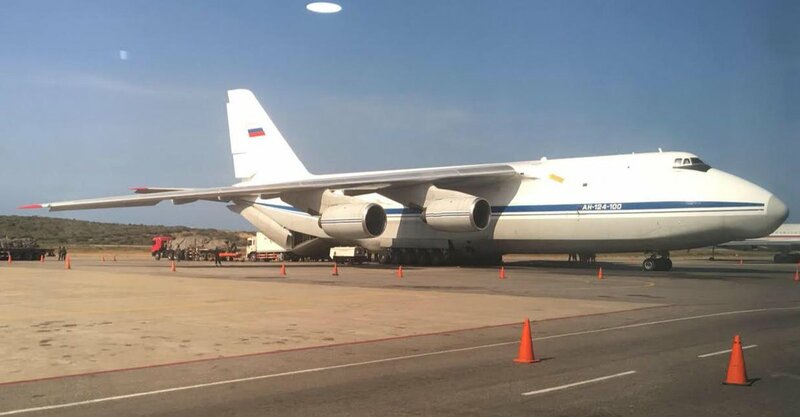 Yesterday while North American news was abuzz with the end of the Mueller investigation and its possible effect on President Trump and the Europeans were discussing BREXIT, the Russian’s quietly landed a small military force at Simón Bolívar International Airport in Maiquetia, Vargas, Venezuela. Maiquetia is a city located near Caracas Venezuela. Wait… While I was watching the news the Russians sent military advisors to Venezuela? Yes, that is what you read and it’s a big deal. 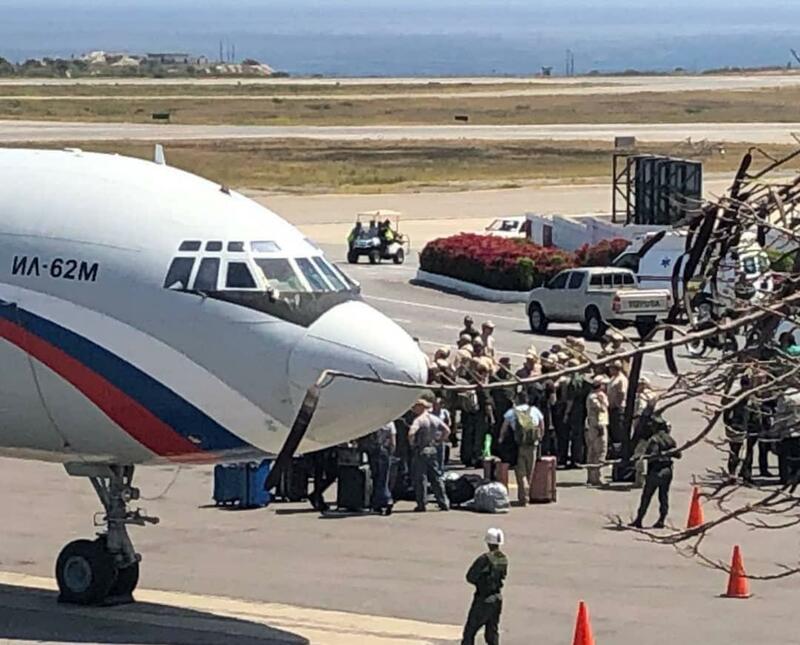 A small force of 100 soldiers lead by the Commander of Russian Ground Troops General-Colonel Vasily Tonkoshkuro landed and brought 35 tons of equipment to “exchange consultations” with Venezuelan military officials. The troops came on two large transports, one of which with the tail number RA-86496 corresponds to a Ilyushin IL-62M troop transport operated by the 223rd Flight Unit, which by the way is listed as an official Russian Government Airline, or rather it’s not an “air force” plane but it’s owned and operated by the Russian government and has been sighted in Syria, West Africa and other places where “military advisors” have been sighted. The Russian state owned news site Sputnik reported on it! 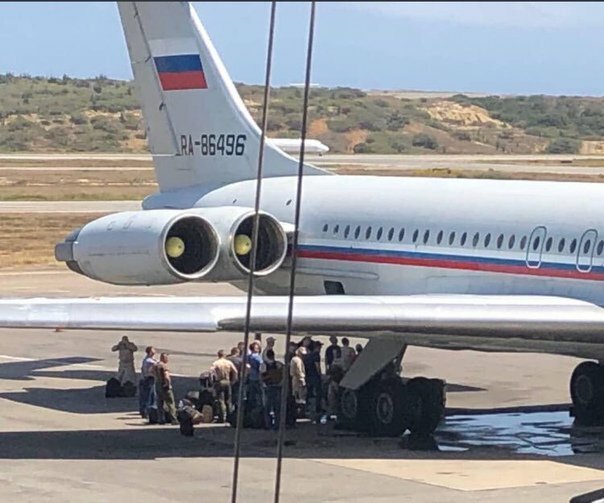 They reported, “Russia has various contracts that are in the process of being fulfilled, contracts of a technical military character.” Translated that means that Russian has sent various people and equipment as military advisors. I think you’ve heard this story before right? Ukraine, Syria, Cuba, Vietnam, Cambodia, Laos, Korea all had small units of military personnel (US/NATO/Soviet/Russia) who came in to just “help out.” That’s always how it begins. I mean really – it’s how Vietnam began. So once again while we focus on political machinations, which are important, and the same day the bomb drops on Trump, or rather we thought would be a bomb but turned out to add more confusion and more investigations and more confusion, if we had turned around we’d see Russians moving into and probably starting to take a significant interest and roll in Venezuela an OPEC country, a huge oil producer and a location which can be used to destabilize more countries around it or maybe even build Russian Military bases very close to home. Now that’s something to be PARANOID about….